In my house, eating yogurt is a way of life. My daughter's been enjoying it ever since she first started eating solid foods and my husband and I start our day with it most every morning. So, by now, I consider myself quite the yogurt connoisseur for I think I've tried every brand and flavor on the market. 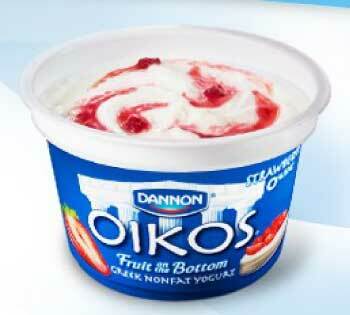 Dannon Oikos is a rich and creamy yogurt which has been created through an authentic Greek straining process. The result is yogurt that is much thicker than you might be used to as well as yogurt that is not quite as sweet either. Dannon Oikos comes in a variety of sizes (5.3 oz. singles, 5.3 oz. 4-pack and 32 oz. ), styles (traditional and fruit-on-the-bottom) and flavors (blueberry, strawberry, peach, black cherry, honey, plain, key lime, vanilla and raspberry). What's more Dannon Oikos traditional plain Greek nonfat yogurt is a perfect ingredient for cooking, thanks to its creamy-thick and rich texture. Substitute Dannon Oikos plain Greek yogurt for regular sour cream, mayonnaise or cream cheese in your favorite recipes and receive a health benefit of 80% less fat than its creamy counterparts! For more information and recipe ideas, visit www.oikosyogurt.com or www.Facebook.com/oikos. 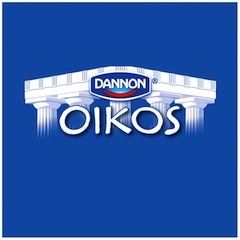 Disclosure: I have partnered with Dannon to help promote the Dannon Oikos Greek Yogurt Series. I have been compensated for my time commitment to the program, which includes writing about the promotion and product. However, my opinions are entirely my own and I have not been paid to publish positive comments.